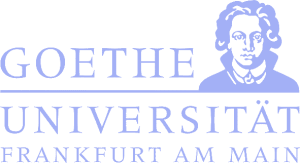 The research groups led by Alexander Heckel and Stefanie Dimmeler have developed antimiRs that can be activated very effectively over a limited local area by light. To this purpose, the antimiRs were locked in a cage of light-sensitive molecules that disintegrate as soon as they are irradiated with light of a specific wavelength. As proof of concept for the therapeutic application of these new antimiRs, the researchers chose microRNA-92a as the target structure. MiR-92a is highly upregulated in chronic diabetic wounds. They injected the antimiRs in the light-sensitive cage into the skin of diabetic mice and then released the therapeutic agent into the tissue with the help of light. 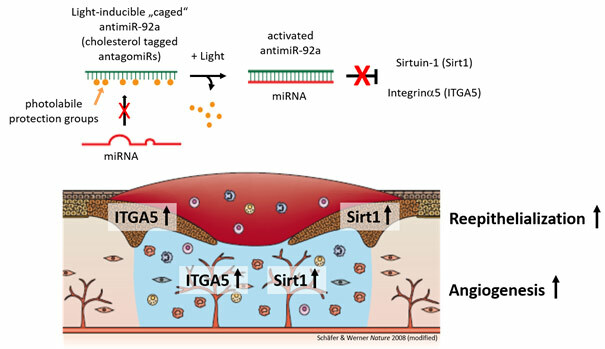 Together the research groups were able to prove that local activation of an antimiR against microRNA-92a helps wounds to heal.